Think you’re safe on your own? Snap out of it! 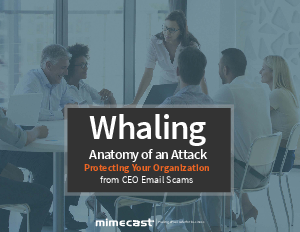 Download the new Mimecast E-book Whaling: Anatomy of an Attack to learn the facts about these damaging and costly threats—and how you can stop them.